eKartingNews.com is proud to present the profiles of the 2014 Rotax Max Challenge Grand Finals Team USA members, set to represent the United States at the Kartodromo Internacional Lucas Guerrero outside of Valencia, Spain on November 25-29, 2014. EKN, the official online media partner of the United States Rotax Max Challenge, will have complete coverage of the 21 drivers competing at the ‘Olympics of Karting’. Full EKN Trackside coverage can be found at the EKN Event Page. After being regarded as the best possible chance for the first Team USA victory at the Rotax Grand Finals in last year’s race in New Orleans, the DD2 Masters drivers fell short. 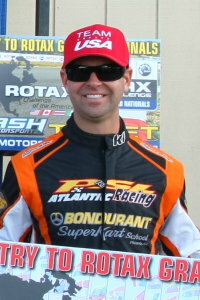 Five drivers started the Final, all with a chance at reaching the podium, and contact took them all out of contention. Three of the six from last year return for the 2014 edition, along with a former member of the 2011 Team USA roster and two rookies – all looking for redemption. Curtis Cooksey’s runner-up result in 2008 at La Conca, Italy is still the benchmark, however, it was when the category ran within the regular DD2 division. 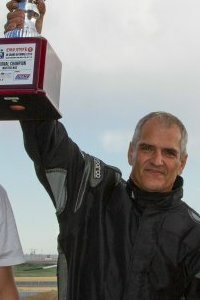 In 2010, the DD2 Masters category was given its own group at the Rotax Grand Finals, with the best finish thus far coming from returning Team USA driver Erik Jackson in 2011, who placed 11th. Greene is a long-time racer from the Northeast, who recently moved to Florida. He competed in this year’s Florida Winter Tour, placing fifth in the championship. With class champion Luis Schiavo earning a ticket through the DD2 Masters division, the spot went to Scott Falcone. While scheduled to compete, Falcone recently relinquished his spot, which worked its way down the championship standings to Greene. Bobby took part in the Rotax Pan American Challenge in October, spending the weekend in Mooresville getting adjusted to the extra speed and extra gear that the DD2 machine offers for his trip to Spain. SoCal driver Jackson is set to make his second appearance at the Rotax Grand Finals. 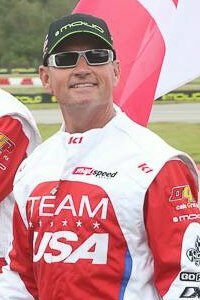 Erik was runner-up at 2011 US Grand Nationals held at Miller Motorsports Park, and went on to record the best result for Team USA in the category with an 11th place finish. That result has stood over the last two events. Jackson was runner-up once again at the US Grand Nationals, held at the Utah facility. He is looking to repeat and better his RMCGF result when competing in Spain this year. This will be the third straight trip for Jones to the Rotax Grand Finals. 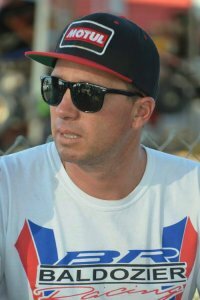 In 2012, Jones won the Pan American Challenge at The Track at Centennial in Colorado, and was runner-up to Rudolph at the US Grand Nationals in Mooresville. This year, he beat out Jackson and four-time Rotax champion Jordon Musser for his first US title and a third straight ticket to the RMCGF. After battling with engine issues early on in Portugal in 2012, Jones raced his way into the main event, placing 19th. Last year, Jones was a top-10 driver, nearing the top-five. During the opening lap of the final, contact took him off course and out of contention. This year is all about redemption for Jones. One of the great things about the Rotax Grand Finals is that it’s a ‘bucket-list’ type trip for those guys who are lucking enough to earn a spot on their national team. For Ken Maxfield, this is just that. Coming back from a serious illness toward the end of 2013, the Utah driver fought hard to recover and regain the physical strength he needed to race again. By July at the US Grand Nationals, he was back to 100% and was in even better shape than what he was before. It showed on-track, as Maxfield drove to the Masters Max title, earning the RMCGF ticket. Ken made his first DD2 start in October at the Rotax Pan American Challenge, learning about the Praga and just chasing the clock in preparation for his first RMCGF. The ‘ageless-one’ Alan Rudolph is set to making his third trip to the Rotax Grand Finals his best ever. A contender at both the 2012 and 2013 events, the final day of competition has gone south for the veteran each year. In 2012, a bold pass attempt led to a rare mistake, taking him out of contention. Contact and a spin during the main event in New Orleans last year dropped him to the tail of the field, but the never-quit attitude helped him recover to 12th. Earning a second Rotax Challenge of the Americas title, Rudolph spent the summer racing the regular DD2 category to help prepare for what is expected to be another attempt at gaining his first world title. 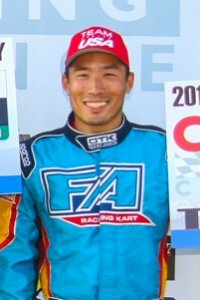 There have been two difficult trips to the Rotax Grand Finals for Wang as a DD2 competitor. He was unable to qualify for the main event in 2010 at La Conca after showing promise in his debut, and he did not make the field for the LCQ in 2011 in the United Arab Emirates. 2012 was his last attempt in the regular DD2 division before moving to the Masters category in 2013. 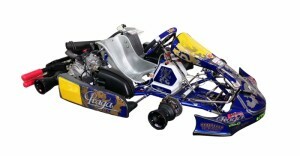 Winning the Rotax Can-Am ProKart Challenge title gave him a ticket to the RMCGF in New Orleans. He overcame a DQ in the opening heat race to secure a top-20 start for the Prefinal. Wang advanced forward in the race, and was into the top-five early on in the Final. Contact, however, pushed him outside the top-20. He scored a second-straight Can-Am championship this year, and spent a weekend at the 2014 RMCGF facility in Spain for some early race testing.